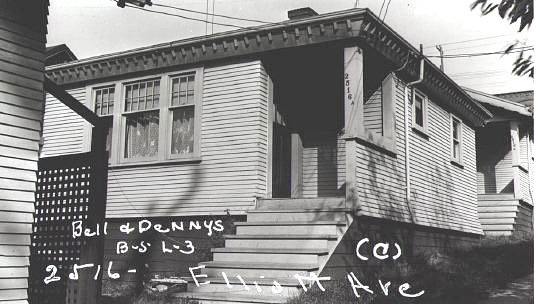 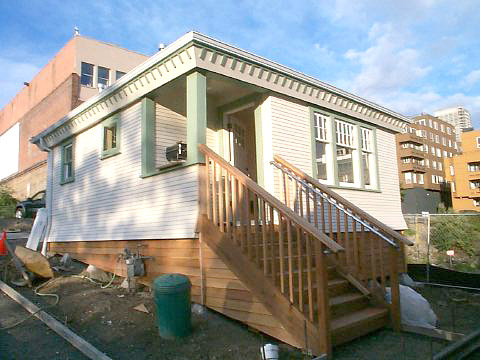 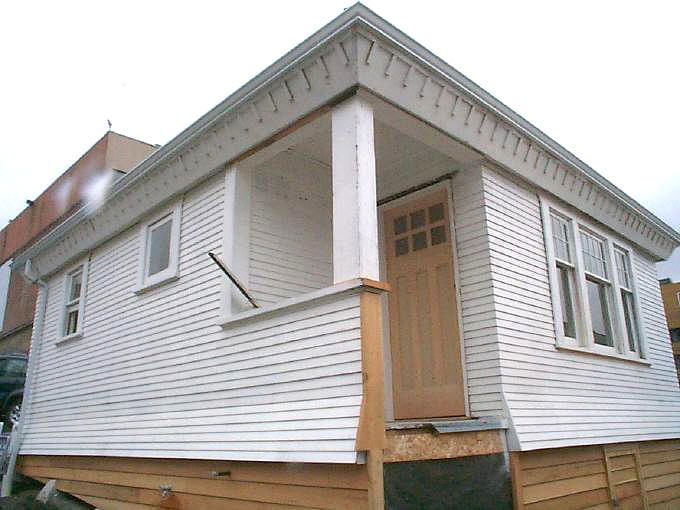 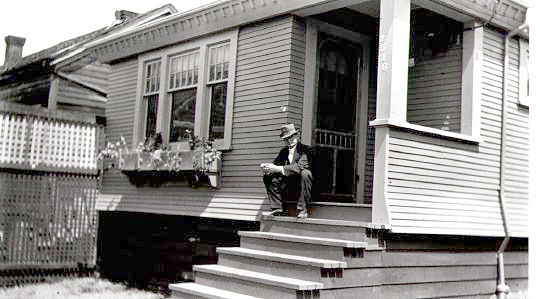 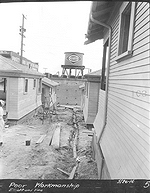 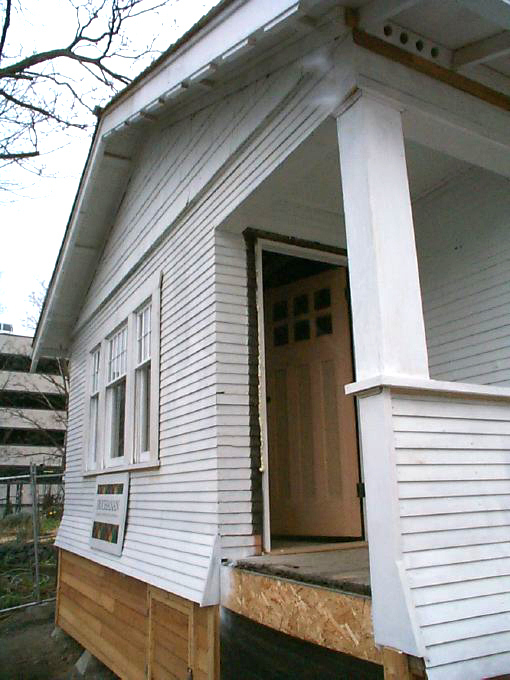 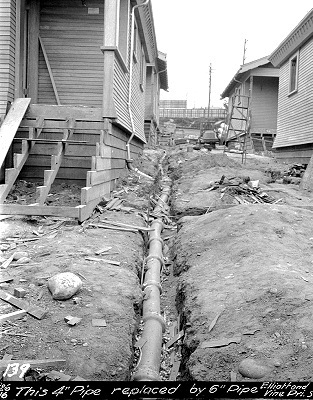 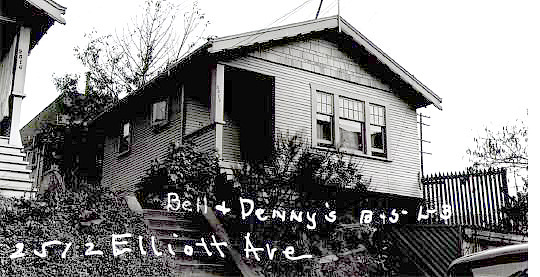 During the ship-building boom in Seattle at the time of WWI, West Seattle architect William Hainesworth built 6 small detached craftsman cottages in Belltown on Elliott Avenue between Wall and Vine Streets. Together the cottages formed a bungalow court -- 2 behind 2 behind 2 -- east to west between Elliott Way and the alley to the east. 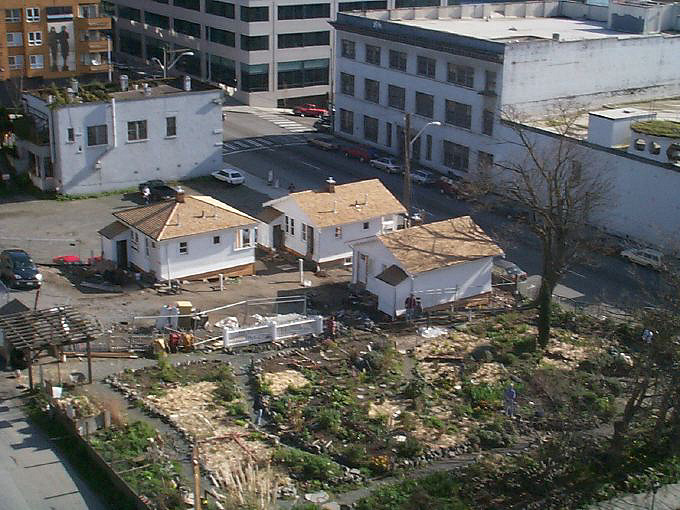 Each unit separated from those adjacent by a sidewalkway and tiny stips of yard (see early pictures below). 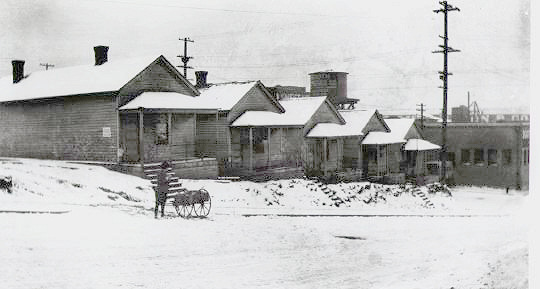 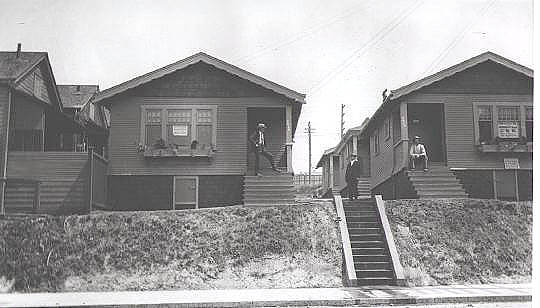 The cottages, were intended as housing for shore workers who wanted the convenience of living closer to work. 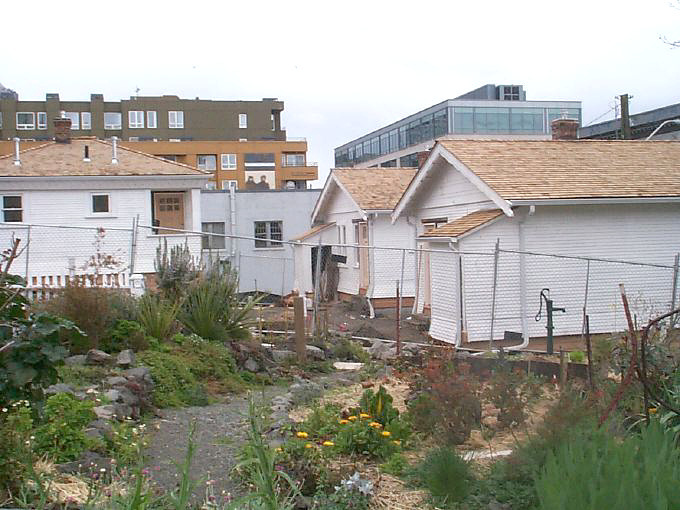 There were many other small wooden bungalows in the area at that time but today the 3 cottages stand alone next to the P-Patch community Garden surrounded by older factory buildings now being renovated and newer condomeniums. 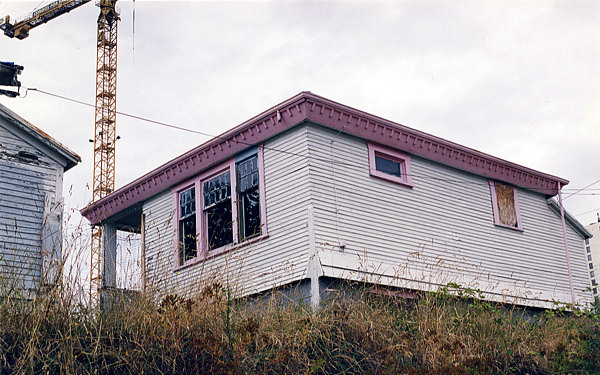 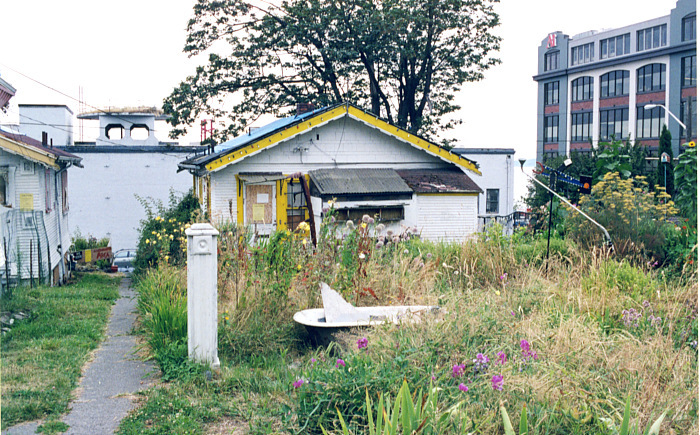 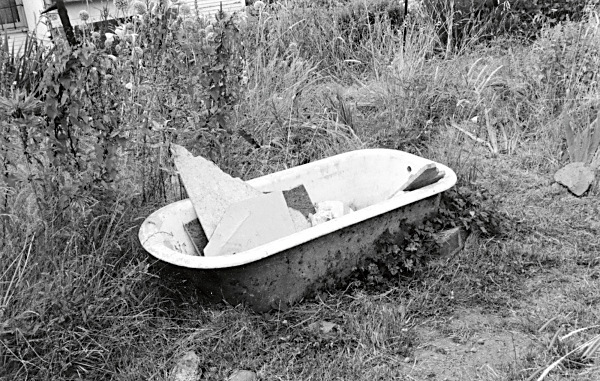 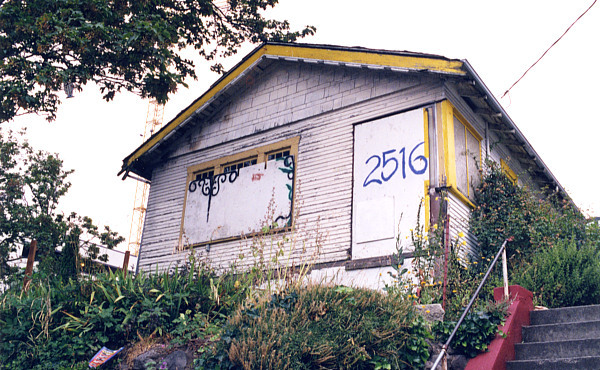 I discovered the Belltown cottages in August 2001 while photographing Seattle. 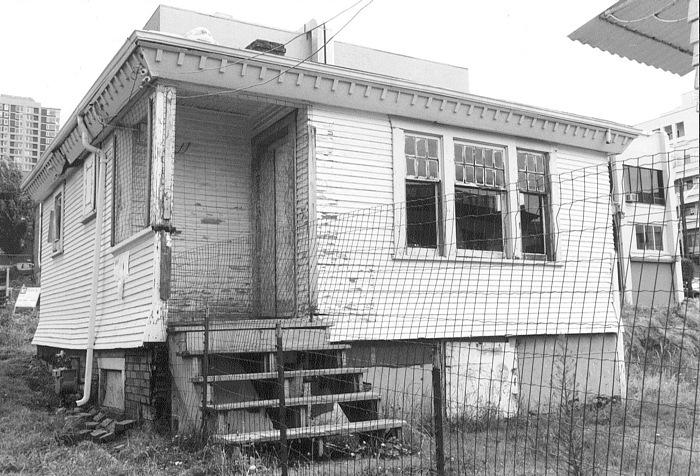 Then in September 2003 I discovered Dancy Terrace while exploring Springfield, where my Mother had grown up in Jacksonville. 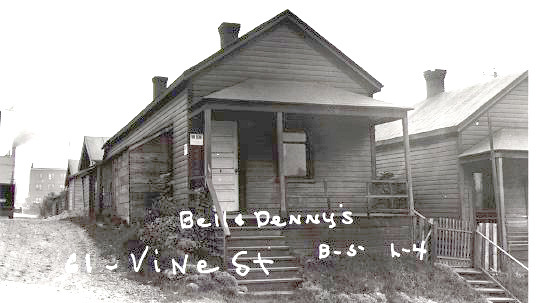 For me there is a connection between the Belltown cottages and Dancy Terrace; as if one had led me to the other; as if one helped save the other. 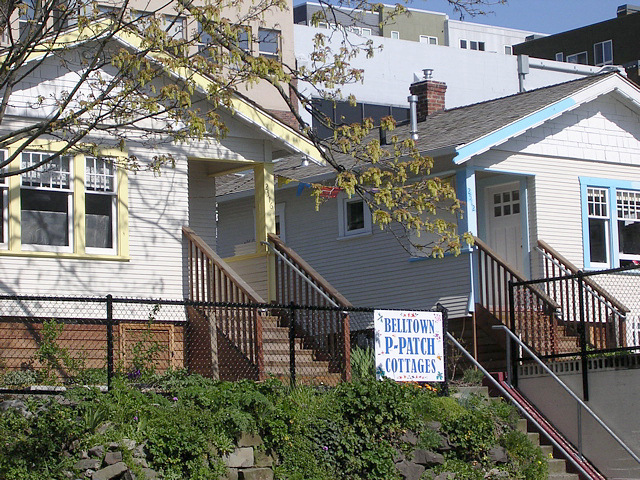 The Belltown Cottages , now house a community center and two residencies for writers via the Hugo WIR program. 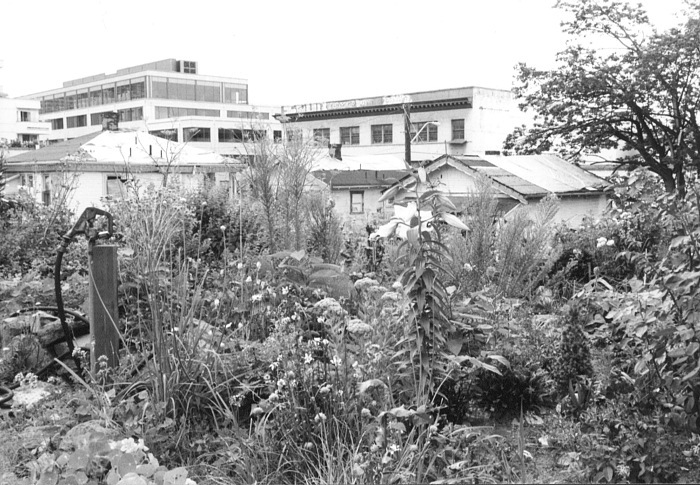 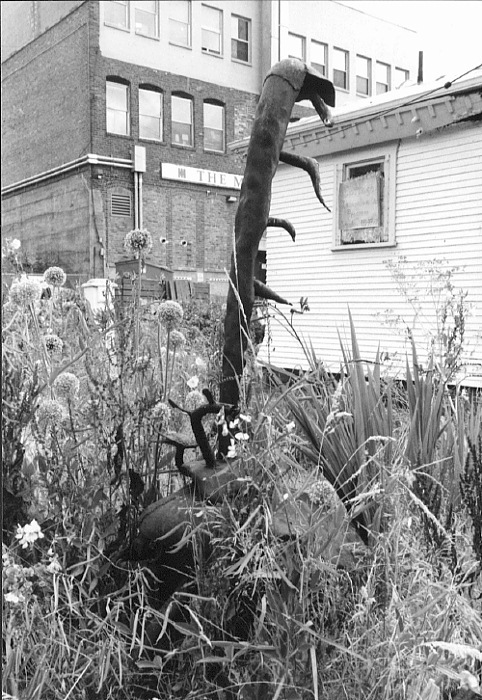 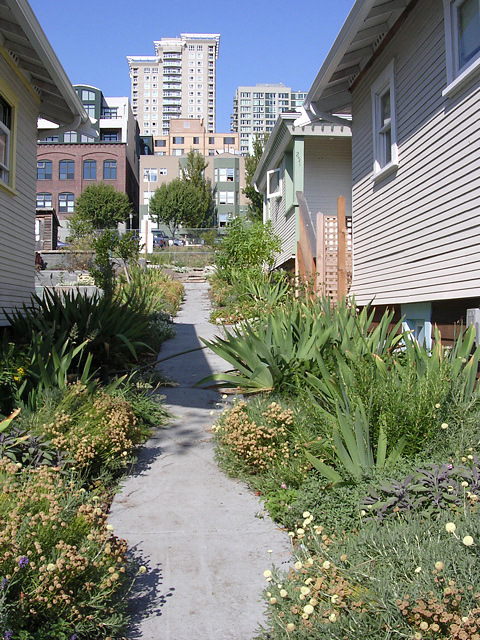 Adjacent to the cottages at the corner of Elliott and Vine is the P-Patch community garden and Growing Vine Street Cistern Steps (Green Street Improvement Project). 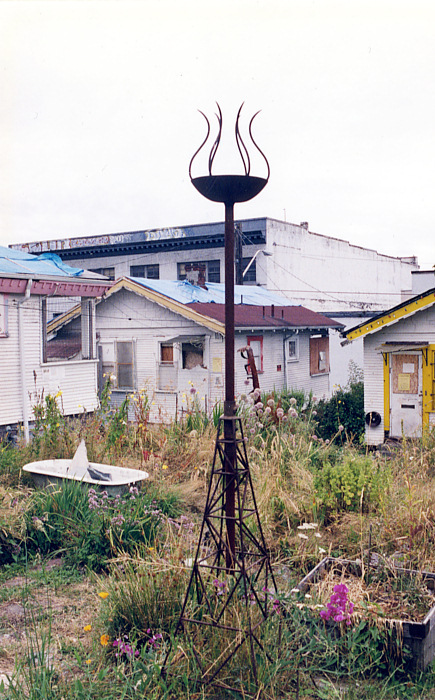 Altogether these sites form what is known as Cottages Park. 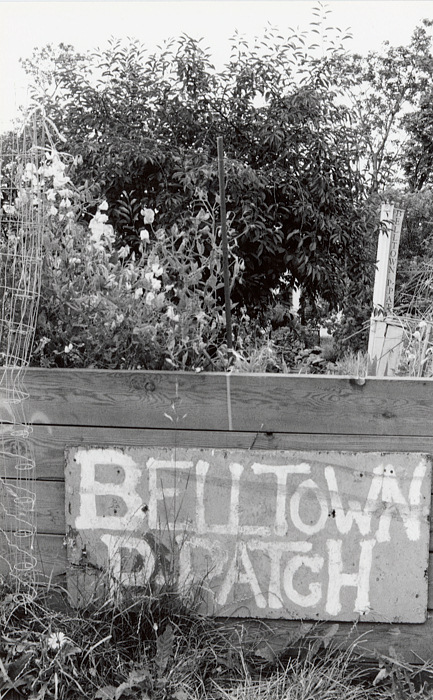 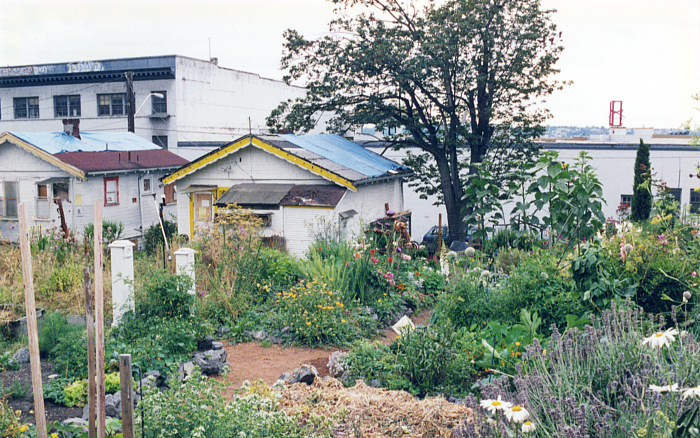 Please visit the websites for the Belltown Cottages and P-Patch Garden. 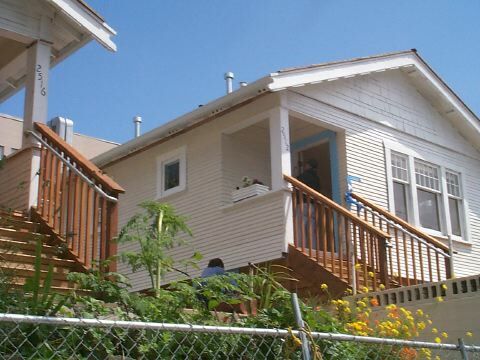 There are photos of the cottages in every stage of rennovation. 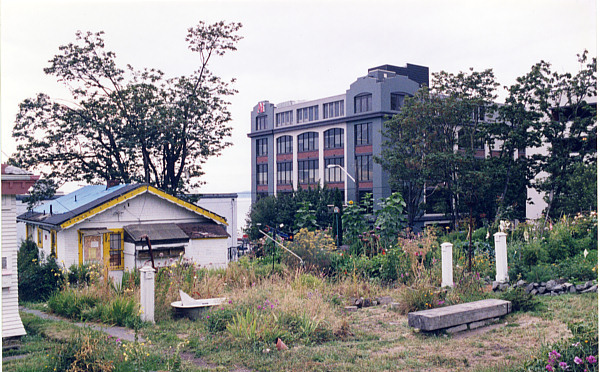 I can hardly wait to get back to Seattle to see them again. 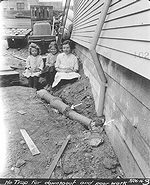 Right: 3 photos taken 1916 during inspection of property. 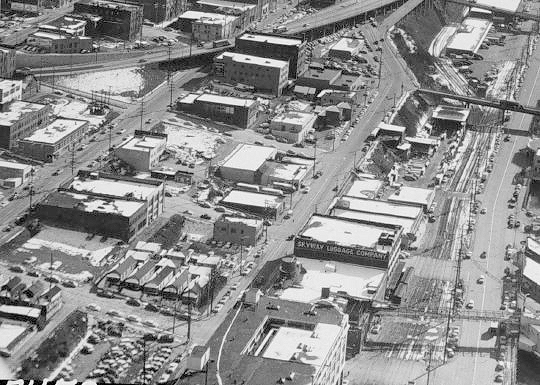 Seattle Municipal Archives Photo Collection.